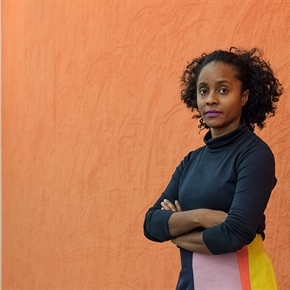 Zoé Whitley is curating the British Pavilion at the 2019 Venice Biennial. Glasgow-based artist Cathy Wilkes, “the conjurer of intimate, tender, almost spectral tableaux of mannequins, worn fabric, and peculiar bits of detritus” was selected to represent Great Britain at the international exhibition and Whitley, curator of international art at Tate Modern in London, will organize the presentation. Most recently, Whitley co-curated “Soul of a Nation: Art in the Age of Black Power” at the Tate Modern. Consternation over the Brooklyn Museum’s March 26 hiring of Kristen Windmuller-Luna, a non-black curator of African art, ensues. After a social media backlash and essay writers expressing their dismay, the coalition group Decolonize This Place joined the fray with an open letter. Anne Pasternak, the director of the Brooklyn Museum issued a response to the public objections on April 6. The museum statement enlisted the bonafides of Okwui Enwezor, the internationally recognized curator and museum director who is a former professor of Windmuller-Luna. Pasternak’s response didn’t directly address the concerns of Decolonize, so the group issued a new letterwith 19 organizations calling for the museum to form a Decolonization Commission. Meanwhile, UCLA professor Steven Nelson, expanded upon his comments regarding the flap in an April 13 interview with NPR. Pasternak is giving the commencement address at the Pratt Institute in Brooklyn on May 16. Art Ball in Brooklyn raises funds and awareness for Amref Health Africa through a contemporary African art auctionand philanthropic event. This year’s ball on April 28 will honor artist Toyin Ojih Odutola with the Rees Visionary Award and gallery owner Jack Shainman and Solange are honorary hosts. The National Endowment for the Humanities (NEH) is supporting 199 humanities projects nationwide. On April 9, NEH announced $18.6 million in grants for a traveling exhibition and public programming exploring the role of blacks in American cinema from 1900-1970, a New York Historical Society touring exhibition on Black Citizenship in the Age of Jim Crow, development of undergraduate curriculum at the University of Dayton related to the life and work of Paul Laurence Dunbar, and research for a book on self-taught Louisiana painter Clementine Hunter(1887-1988). When the Norton Museum of Art re-opens in 2019 following an expansion that will significantly increase its gallery spaces, its collection will have grown by more than 100 works. Howard and Judie Ganek have promised to gift their art holdings to the West Palm Beach, Fla., museum, including works by Theaster Gates, Lorna Simpsonand Kara Walker, among others. The Norton Museum of Art also announced the exhibitions that will inaugurate the new building and a Nina Chanel Abney solo show is on the roster.